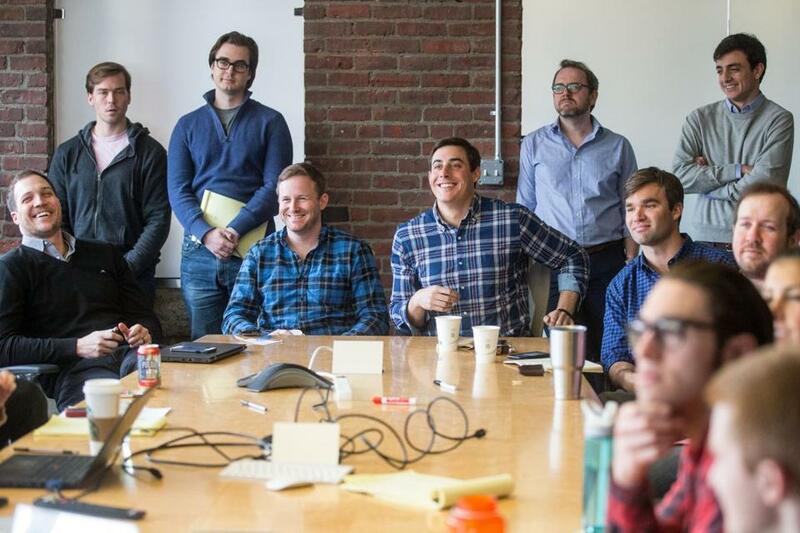 HourlyNerd cofounders Patrick Petitti (sitting left) and Rob Biederman (sitting right) at a meeting in April. HourlyNerd Inc., a Harvard-bred startup that lets other companies shop a la carte for business advice, said Tuesday that it has raised $22 million from top venture capitalists. HourlyNerd said it has now secured more than $33 million and amassed a network of 25,000 business consultants, including experts with deep industry experience and diplomas from top business schools. 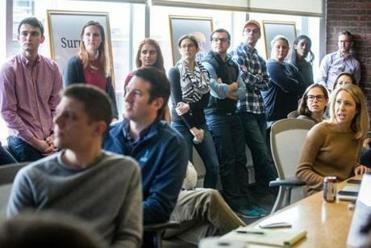 The Boston company, which started as a Harvard Business School project in 2013, bills itself as a lower-cost source of expert business consulting in an industry dominated by traditional firms such as McKinsey & Co. and Boston Consulting Group. HourlyNerd doesn’t employ its consultants. Instead, it serves as a digital middleman, letting independent contractors bid on consulting projects posted by potential clients. These online expert networks could evolve into potent competition for some of the best-known management consulting firms. HourlyNerd charges both the consultant and the client a fee for setting up each project and handling payments between the two. HourlyNerd said its consultants can offer expertise on a wide range of projects, including market research, interim executive services, and research on potential acquisitions. The startup said its contractors have worked for some 5,000 companies, including Microsoft Corp., Staples Inc., and General Electric Co.